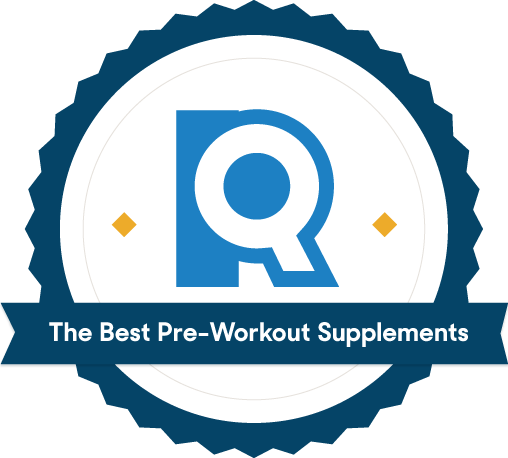 The best pre-workout supplement has a mix of clinically proven ingredients: creatine and beta-alanine to super-charge anaerobic strength, plus caffeine and citrulline to improve endurance. It also skips junk ingredients like artificial colors and sweeteners. While no pill or powder is going to beat a healthy diet and good night’s sleep, the best pre-workout supplement will safely and conveniently give you that extra boost. Unfortunately, there’s a vast grey area with most other ingredients — no authoritative research saying they’re 100 percent safe or harmful. Even creatine, one of the most thoroughly studied nutrition substances on the planet, still has its naysayers. For most ingredients, there isn’t enough long-term research to definitively assess their effects. 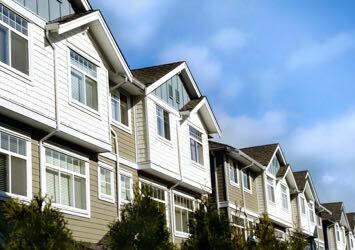 However, there are some ingredients whose reputations lean more heavily negative. One example is herbs made from the bitter orange tree, which are found in many supplements. Bitter orange contains synephrine as well as octopamine — two chemicals linked to high blood pressure, strokes, and heart attacks. To err on the side of caution, we cut any supplements with controversial ingredients that had too little research to ease our concerns. We also cut ingredients that may counteract a supplement’s other effective ingredients. Agmatine sulfate, for example, may interfere with the nitric oxide boosters citrulline and arginine, so it had to go. Other ingredients that were a no-go: yohimbe (a powerful stimulant linked to panic attacks) and acacia rigidula (an untested stimulant that nonetheless still crops up in some dietary supplements). We eliminated any products with suspect “proprietary blends.” Companies aren’t required by law to disclose what’s in these mixes or in what quantities, so they can get away with a lot of filler. The concern isn’t necessarily hiding dangerous ingredients — those would have to be listed — but rather, excessive amounts of ingredients that don’t have any real benefit. With 85 percent of the US population consuming caffeine on a daily basis, it’s one of the most commonly used substances in the world. Sports nutrition expert Marie Spano referred to it as “perhaps the most studied ergogenic aid,” and there’s no doubt that it can be a powerful workout aid when consumed in safe doses. One study in Sports Medicine found that athletes can “train at a greater power output and/or train longer” after caffeine consumption. Another study in the British Journal of Sports Science found that testers who drank a cup of coffee before a 1,500-meter run finished 4.2 seconds faster than those who didn’t. Mitchell Zandes, registered dietitian and certified strength and conditioning specialist, went as far as to say, “Caffeine is, without a doubt, the number one ingredient consumers should be looking for in a pre-workout supplement… In my professional opinion, the remainder of popular ingredients don't matter much in the immediate pre-workout period. 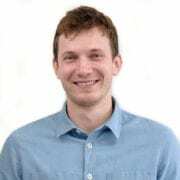 These items are mostly built around hype and marketing without contributing much to performance." Of course, how much caffeine you should take, or even if you should take it at all, varies greatly among individuals. 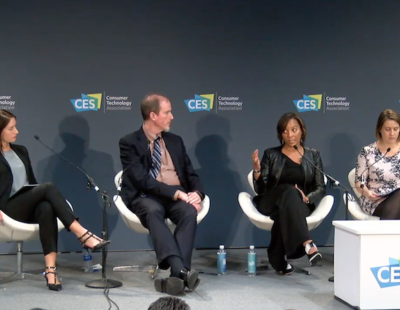 “Everyone reacts to caffeine differently,” explains Levinson, who notes that some people get jittery or anxious while others really benefit from the stimulant. But how much caffeine is too much? One review carried out by the government regulatory agency Health Canada considered more than 200 studies and concluded that a daily dose of 400 mg is perfectly safe for most adults. Other experts seem to agree that 400-450 mg a day won’t result in any adverse side effects. We cut any supplements with more than 200 mg of caffeine, an amount that our experts all agreed is safe and moderate. Most of the studies available on artificial sweeteners and colors don’t provide conclusive results, but we felt that there was enough controversy surrounding them that they warranted a second look. As an article from the Harvard Medical School puts it, “Whether non-nutritive sweeteners are safe depends on your definition of safe. Studies leading to FDA approval have ruled out cancer risk, for the most part. However, those studies were done using far smaller amounts of diet soda than the 24 ounces a day consumed by many people who drink diet soda. We really don’t know what effect large amounts of these chemicals will have over many years.” The European Union has also banned many artificial colors and sweeteners completely, making it harder justify including them in products we’re recommending. Experts tend to agree. Back when we found the best protein powder, we asked more than 4,000 registered dieticians for their opinions on safe ingredients, and their response was unanimous: Avoid artificial sweeteners and colorings whenever possible. The same holds true for pre-workout supplements, many of which come loaded with artificial sweeteners your body can’t digest or convert into useful energy. Yes, we love the name, but there’s a whole lot more to love about a clean, all-natural supplement that focuses on the ingredients that work and kicks all the other garbage to the curb. 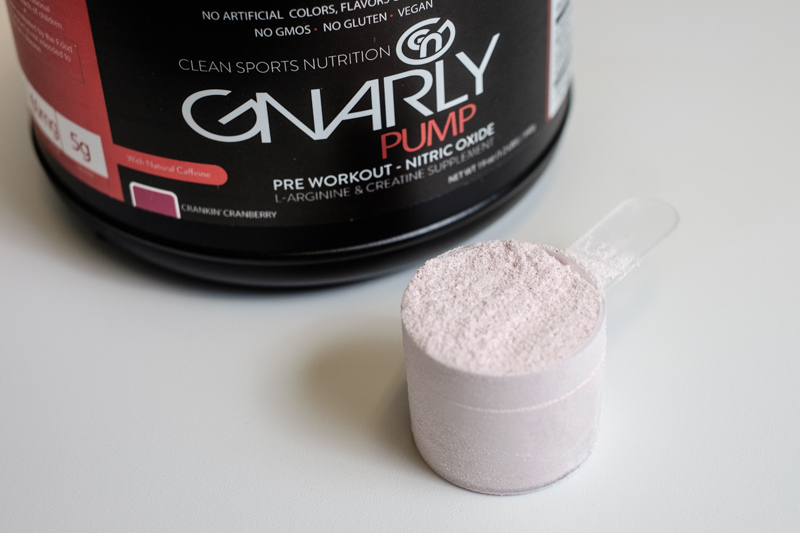 Gnarly Pump ($45) contains no artificial colors, flavors, or sweeteners and no proprietary blends that make you guess the dose you’re taking. More important, however, is what it does contain. Many of the experts we talked to recommend a supplement with nitric oxide boosters, which help to dilate blood vessels and increase blood flow to key muscles. 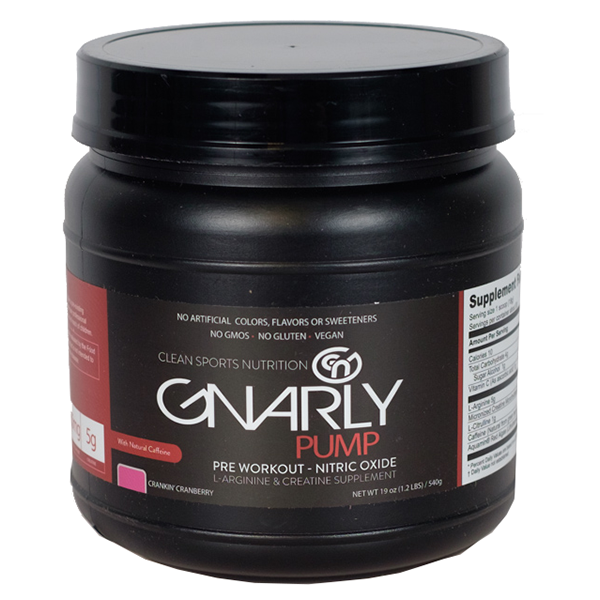 Gnarly Pump contains two such boosters in arginine (5,000 mg) and citrulline (1,000 mg), plus 5,000 mg of creatine to help build lean muscle. In keeping with Gnarly’s focus on all-natural ingredients, the supplement also contains 60 mg of green tea extract, a natural source of caffeine that may help to boost energy levels without leading to a case of the jitters. Gnarly’s entire philosophy revolves around transparency in its products and educating consumers about what they should put in their bodies — no false promise of instant six-packs. All of their products are free of GMOs, hormones, and artificial sweeteners, a commitment that we only saw matched by Vega. The company even runs a blog that’s frequently updated with helpful articles on how to avoid overtraining, what to eat before a marathon, and how to fill your diet with more veggies. We’ll be honest, we got pretty immune to the sports nutrition marketing hype throughout our search. But Gnarly managed to break through that fatigue with genuinely inspiring articles about living a life of wellness. We highly recommend checking it out. Choose between two flavors of powder, Crankin’ Cranberry and Orange Mango, both of which are naturally sweetened with plant-derived stevia extract. One serving of Gnarly Pump gives you 60 mg of caffeine, which is less than you’d get with one cup of coffee, and is pretty low by the standards of most pre-workout supplements. A number of reviews online love that the product is all-natural, but said that it just didn’t give them much of an energy boost. So you may not get the jitters from this product, but you won’t see dramatic, “wow”-inducing results either — expect a more subtle, natural lift to your workout. Taste is subjective, and what appeals to one person might cause another to cringe. That being said, we found numerous internet reviews that were not fond of the cranberry and orange/mango flavors. One reviewer noted that the Crankin’ Cranberry tasted “like cough medicine and melted jello mixed.” In our own testing, we didn’t find the flavor to be that obnoxious; and we’d suggest you try it out yourself to see if it tickles your taste buds or not. 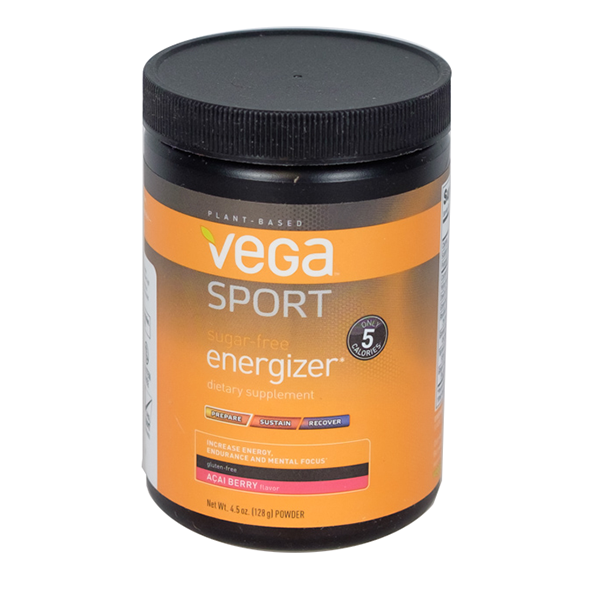 Vega Sport Sugar-Free Energizer doesn’t have muscle-builders like creatine and beta-alanine, because that’s not what it’s designed for. Instead, it has 16 grams of carbohydrates per serving — compared to four grams for Gnarly Pump and zero for S.A.N. 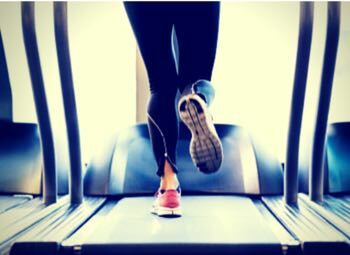 — making it an excellent choice for workouts that require more sustained, if less taxing, effort — like yoga or Pilates. Experts recommend extra carbohydrates for endurance workouts because carbs delay fatigue and optimize muscle function. If you tend to work out at a slower or more deliberate pace, this could very well be the supplement to give you that extra bit of energy and focus without making you feel too jittery for a calmer workout like yoga. 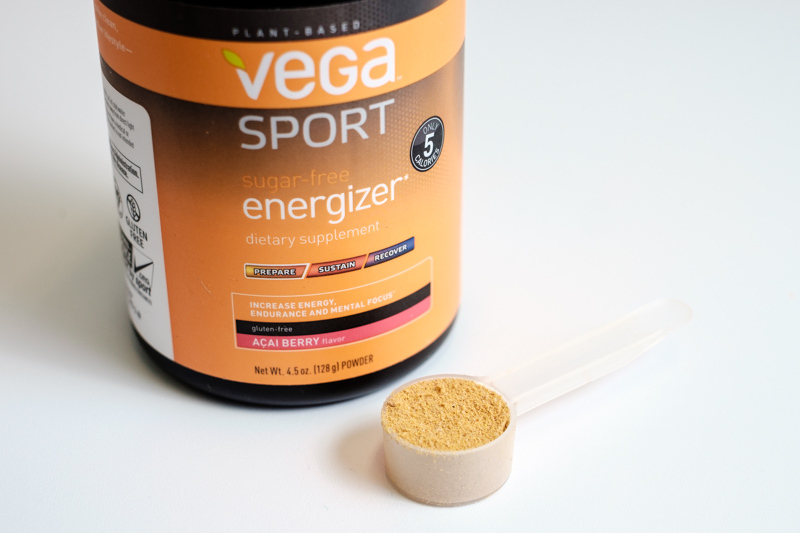 Vega includes several ingredients that promote overall gut health like ginseng, turmeric, and ginger. It also delivers a good combination of natural boosters like green tea, which a Penn State study suggests may enhance the effects of exercise, and yerba mate, which has been shown to enhance fat metabolism during light and moderate exercise without negatively affecting performance. While they’re not proven to directly impact exercise performance, their benefits carry over well beyond the gym. We were also extremely impressed with the overall quality of Vega’s ingredients. Labdoor, an independent company that tests health supplements for safety and efficacy, gave Vega a 75 out of 100 for ingredient safety (compared to an average of 58). Aside from its stellar safety score, Vega is also one of the only supplements we saw that is certified both vegan and gluten-free. You start your workout early with this supplement, because it takes work to get it to dissolve nicely in water. Online reviews mention having to use a blender or shaking vigorously to get all the chunky bits broken up, and it tends to leave a bit of residue in the bottom of your glass. This is a very minor quibble, but it’s worth noting that, especially with the lemon-lime flavor, it will stain if you spill it on your clothes. Everyone responds to caffeine a little differently. If you know you’re sensitive to it or if you’re already exceeding the recommended amount in your normal diet, S.A.N. 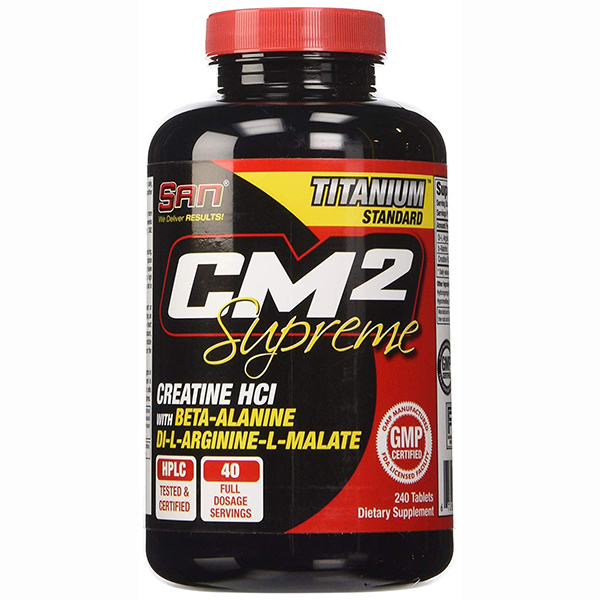 CM2 Supreme is totally caffeine-free. It still has all the lean muscle-building ingredients we loved in Gnarly Pump, just without the additional energy booster. Without any caffeine, you’ll also lose some of the sharpened focus that is a big appeal of other pre-workout supplements, but it had everything else we were looking for. This supplement comes with arginine (2,000 mg), a nitric oxide booster that promotes blood flow to your muscles, and creatine (1,000 mg), one of the most proven lean muscle builders around. While the doses of these ingredients are less than what you get with Gnarly, this is both a pre- and post-workout supplement, so you’re really getting double those amounts. S.A.N. 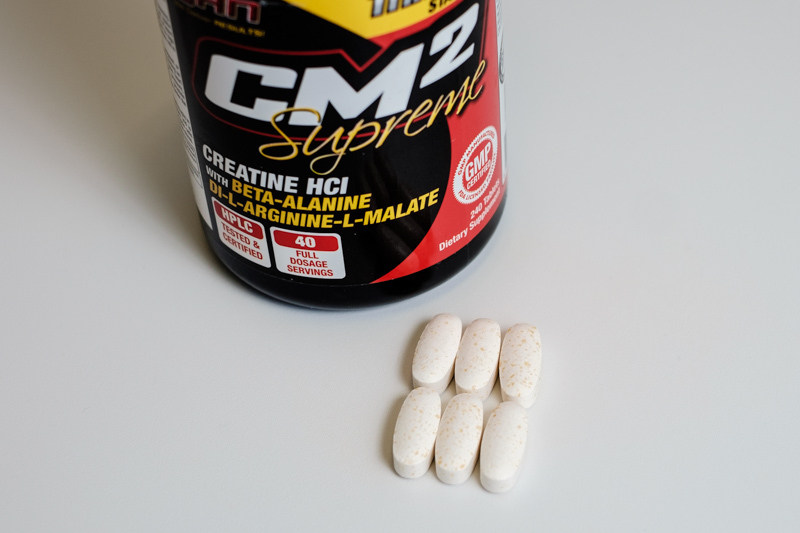 CM2 Supreme also has one productive ingredient that we missed in Gnarly Pump: beta-alanine, a nonessential amino acid that’s been shown to increase exercise capacity during short, high-intensity workouts. The only thing we weren’t crazy about was the form: Instead of a mixable powder, CM2 Supreme comes in tablet form. S.A.N. recommends six tablets per serving, so you could end up swallowing as many as 12 pills per day if you take them before and after your workouts. We found the supplements that mixed into a drink to be much, well, easier to swallow, particularly if you’re taking your supplements on the go. As we’ve already indicated with our choices, the type of workout you’re planning has a lot to do with the supplement you choose. If you’ve got a sustained cross training session on your schedule, for example, you need to focus on endurance and your ability to sustain your energy levels for an hour or more. But if it’s leg day and you’re doing squats for a shorter but more intense workout, energy isn’t as important and your muscles may be crying out for a product that builds them up and helps them recover. If you do both types of workouts on alternate days, consider investing in more than one product to give you the right kind of lift for each workout. Supplements affect different people differently, so it’s never a good idea to test one out on the day of a race or competition. Give yourself a few weeks to ease yourself into a new supplement and gauge how your body reacts to it. When it comes to the big day, the fewer surprises, the better. While necessary ingredients won’t change, experts recommended that women keep a closer eye on dosage when looking for a pre-workout supplement. Spano says, “Women will need to carefully look at the amounts of each ingredient because of smaller body size. There are some ingredients that they may need in smaller amounts, particularly stimulants.” All of our top picks contain safe dosages, but if you’re still concerned, you might consider reducing the serving sizes. Not everything in a pre-workout supplement is good for you. Here’s a brief list of the concerning ingredients (and their side effects) we found in the pre-workout supplements we researched. Our top picks minimize these ingredients, but we had a hard time avoiding them entirely. Red 40 — Has been proven to promote hyperactivity in children and immune system tumors in mice, and the U.S. Department of Health and Human Services says it’s “reasonably anticipated” to be a human carcinogen. Blue 1 — Has been linked to hyperactivity in a wide variety of artificial food coloring tests. Acesulfame Potassium (Sunett) — Methylene chloride (a known carcinogen) is a by-product of the acesulfame potassium (ACK) creation process. The FDA states it does not expect methylene chloride to remain in the finished product due to: “(1) The multi-step purification process used in the manufacture of ACK and (2) the volatility of methylene chloride,” but the connection remains. Splenda (Sucralose) — Splenda is the trade name for sucralose. Research notes that sucralose is made by adding more chlorine atoms to a sugar molecule. Artificial sweeteners like sucralose appear to be correlated with an increase in irritable bowel diseases. Erythritol — If consumed in high amounts, erythritol can cause cramps, nausea, flatulence, and diarrhea. While it is considered to be one of the safer sugar substitutes, people who overindulge on pre-workout supplements will exceed safe limits. Glycerin (Glycerol) — Side effects include diarrhea, nausea, vomiting, and headache. Inositol — Possible side effects include diarrhea, dizziness, flushing, itching, loss of appetite, nausea, upset stomach, and vomiting if it is ingested in high quantities. Polydextrose — Has the capacity to cause abdominal cramping, bloating, and excessive gas. Xylitol — Gas, bloating, and diarrhea can occur with high dosages. Do I really need a pre-workout supplement? If a daily cup of coffee or tea is already part of your routine, taking a pre-workout supplement like Legion Pulse (350 mg of anhydrous caffeine) or iSatori ISYMFS Pre-Workout Amplifier (a whopping 425 mg of caffeine in various forms) already puts you over that threshold. Add the occasional chocolate bar or energy drink, and we start to get into dangerous territory. Make sure to plan your diet, and try not to go over that daily 400 mg mark — if you suspect that your body might be able to tolerate a higher dosage, consult with your doctor first. What if I go over that 400 mg dose? You probably already know the answer to this if you ever pulled an all-nighter in college. Multiple cups of java or stimulant tablets will leave you feeling jittery and tense; really high levels can cause irregular heartbeat and seizures. It can take nearly 10 hours for that caffeine to move through your system, so overdosing for the sake of a workout will impact your ability to function for the rest of the day, and can keep you from getting a good night’s sleep if you exercise in the evening. If you do work out late in the day, we suggest you stick with a caffeine-free supplement. Should I take a pre-workout supplement on days when I’m not training? Probably not. These supplements are targeted to very specific goals, and there’s little benefit to them on your off days. In fact, not taking them on off days is good because it helps your body to remain sensitive to the ingredients in the supplement. It is possible to build up a tolerance to substances like caffeine if you take them every day, so that they are no longer as effective. Taking a break may help them to continue to impact your body at full potency over the long run. Supplements can help you bring out the best in a variety of circumstances. Check out some of our other supplement reviews to get the full story in which ones offers the most benefit.